"The North Koreans won't be able to achieve this performance tomorrow, but they likely will eventually," he added. Leader Kim Jong-Un described the ICBM test as a gift to "American bastards". Seoul, South Korea: North Korea's intercontinental ballistic missile is "likely" to be able to deliver a 500 kilogram warhead to San Diego within two years, a US monitoring group said Tuesday, after its launch sparked global alarm last week. The isolated, nuclear-armed state's first successful ICBM test was described by leader Kim Jong-Un as a gift to "American b*******". The Hwasong-14 missile is currently estimated to have a range of 7,000-8,000 kilometres -- enough to reach Alaska or Hawaii -- aerospace engineer John Schilling wrote on the respected 38 North website, a monitoring project linked to Johns Hopkins university. 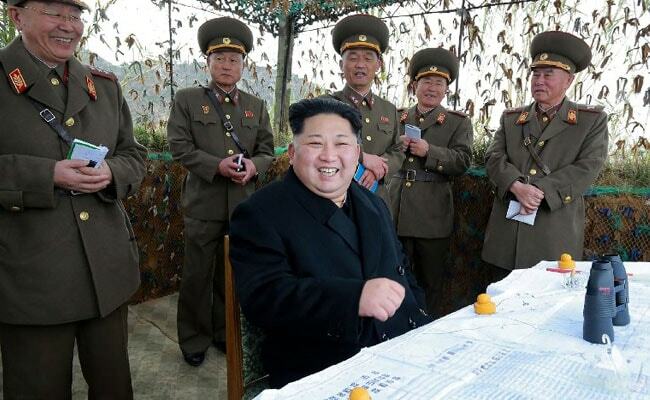 "If the Hwasong-14 is put together the way we think it is, it can probably do a bit better than that when all the bugs are worked out," he wrote, projecting a range of 9,700 kilometres with a 500 kg warhead on board. At present it would be "lucky to hit even a city-sized target", he said, citing limits to its re-entry technology. But with "a year or two of additional testing and development", he added, "it will likely become a missile that can reliably deliver a single nuclear warhead to targets along the US west coast, possibly with enough accuracy to destroy soft military targets like naval bases", such as that at San Diego in California. The North's missile technology -- which it is banned from developing by the UN Security Council -- has advanced rapidly under Kim, ramping up tensions between Pyongyang and Washington. The impoverished state has also staged five nuclear tests -- including two last year. Washington is to propose tougher UN sanctions against the North, but analysts say they will have a limited impact unless China -- the North's sole major ally and economic lifeline -- steps up pressure on its neighbour. Beijing is reluctant to risk destabilising the North, fearing a potential influx of refugees along the frontier or US troops stationed on its border in a unified Korea.